It is crispy like your favorite french fry but also creamy in the middle like luscious mashed potatoes. Topped with our garlicky kale pesto you will be running back for seconds… maybe even thirds. Process all pesto ingredients except olive oil in food processor. Stream in Olive oil. 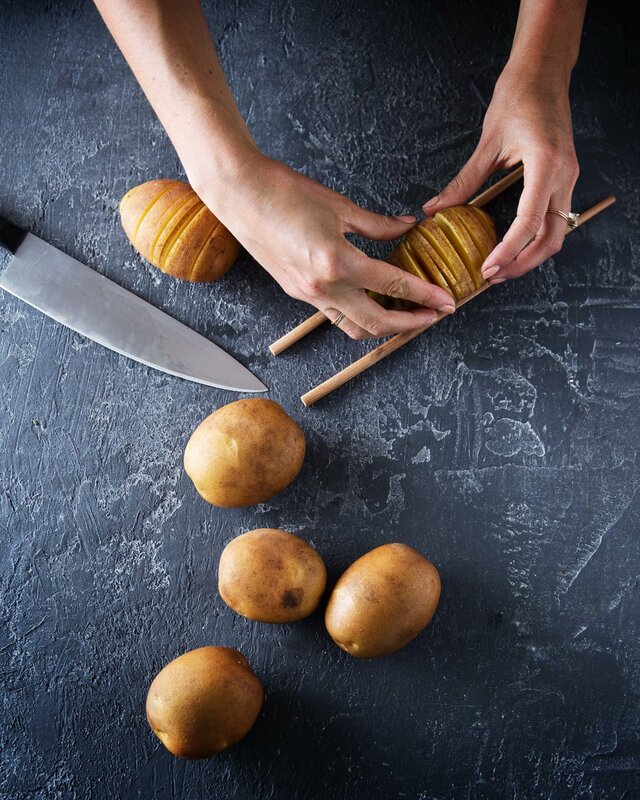 To hasselback potatoes, place potato between two chop sticks. Slice the potatoes till you hit the chopsticks, causing you to stop before the cutting board? Place on a baking sheet, drizzle with olive oil season with salt & pepper.